Rent JW Marriott Denver Cherry Creek | Corporate Events | Wedding Locations, Event Spaces and Party Venues. The JW Marriott Cherry Creek's chic design gives a nod to the Rocky Mountain lifestyle with all the added comfort that JW Marriott hotels offer. With award- winning Second Home Kitchen + Bar, spa & salon, fabulous fire pits and gorgeous event space, guests feel welcome and free to be themselves. Host the event of a lifetime at the JW Marriott Denver Cherry Creek. One of the premier Denver meeting venues, we have 9 meeting rooms, with 8,400 square feet of total space. 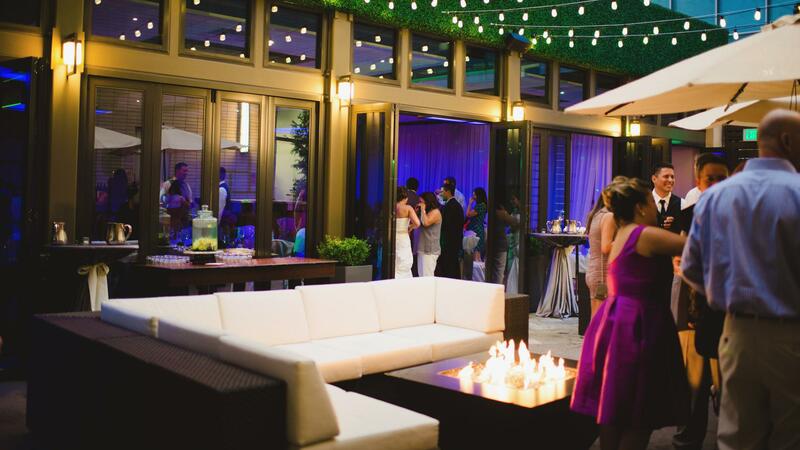 Our outdoor Fireside, open year round, is a chic and unique option for corporate luncheons, cocktail parties, weddings, and more. With delicious and extravagant menu options created by Second Home’s Executive Chef David Anderson, your guests will savor every bite. At the JW Marriott, you’ll experience elegant event space with an exceptional staff anticipating every need.